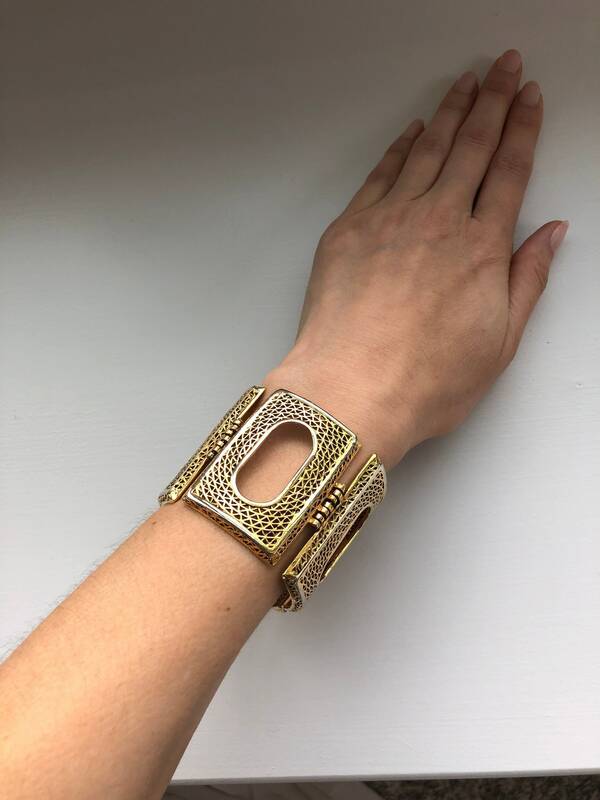 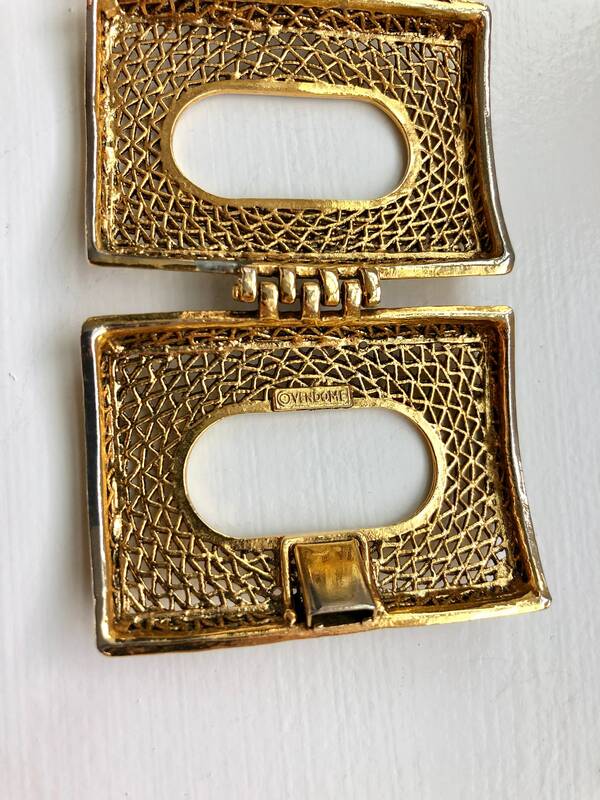 Unique Art Deco style mid century era statement bracelet by Vendome. 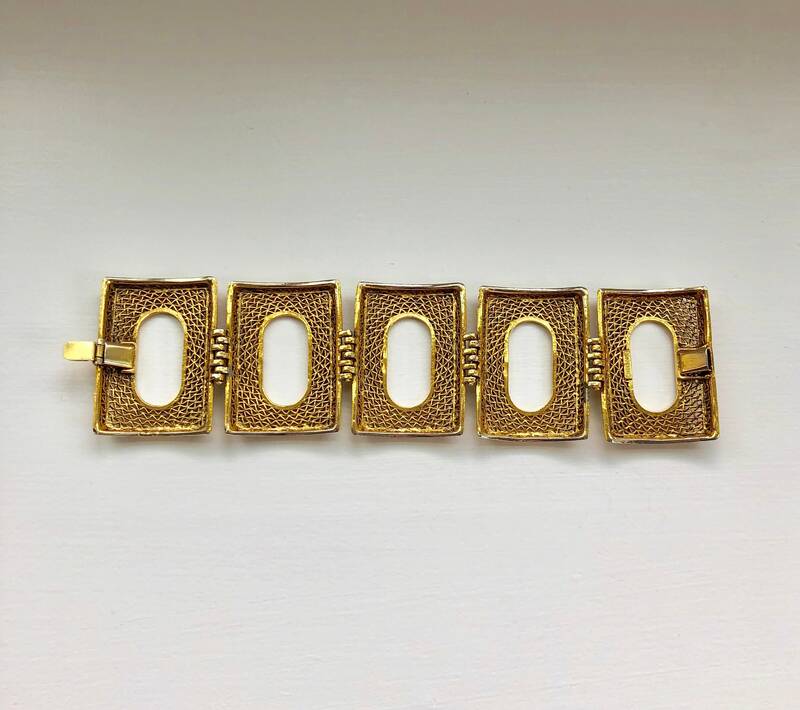 The bracelet is comprised of five large rectangular window panel links with a woven design. 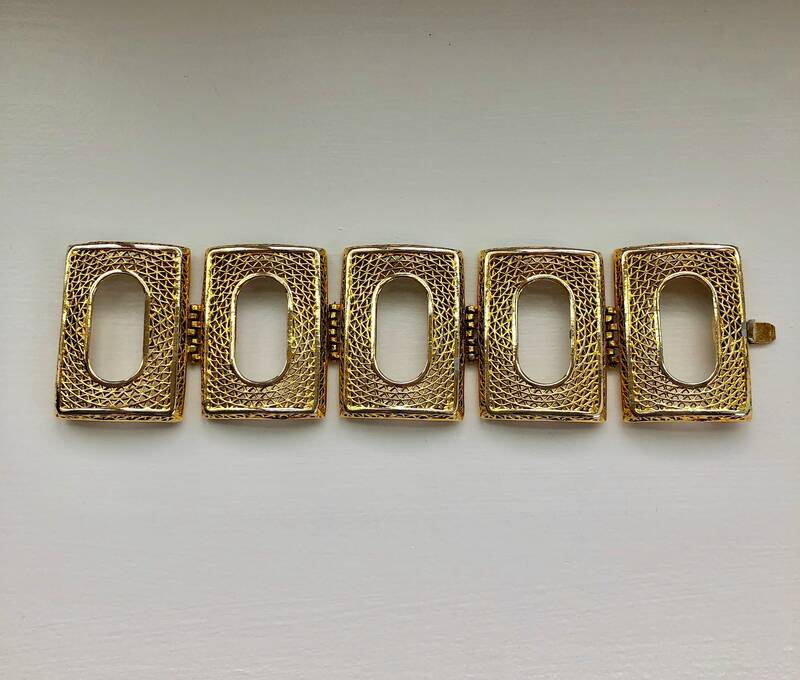 Possibly made of brass or gold tone metal. 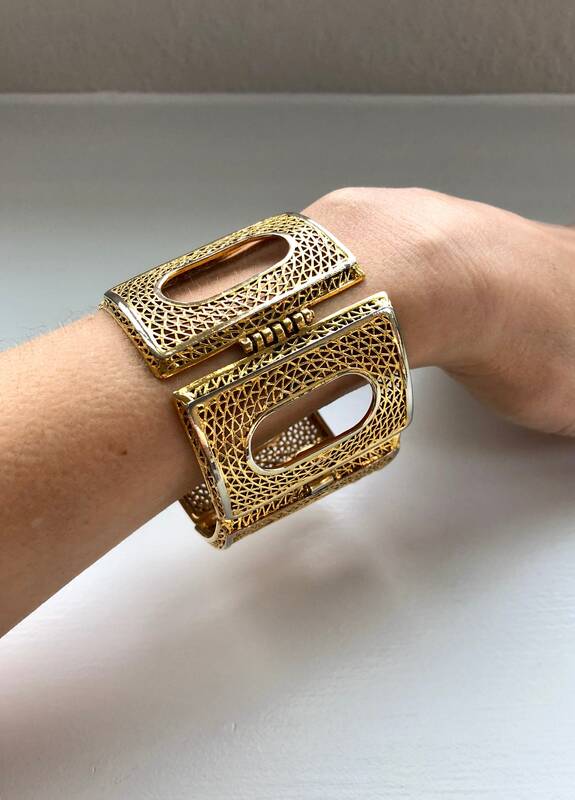 Vendome jewelry was in business from 1944 - 1979. 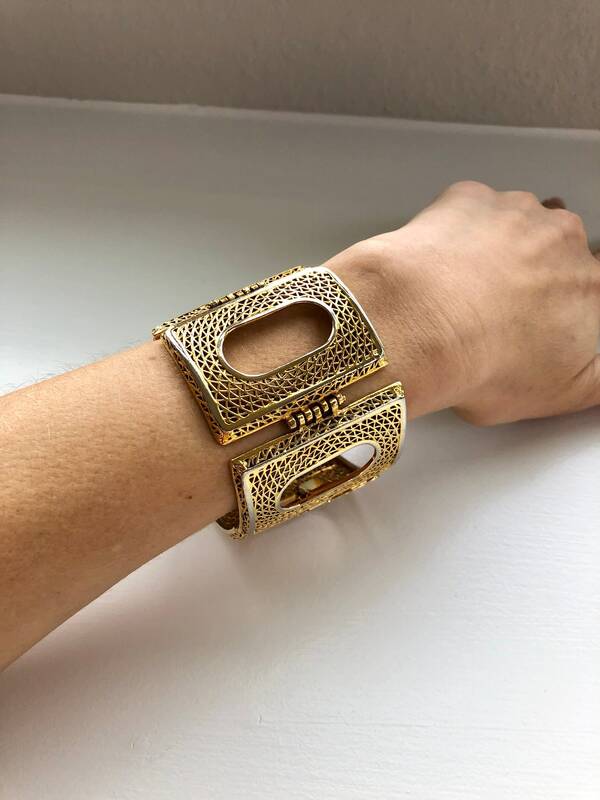 They operated as a subsidiary of Coro and produced a high-quality line of costume jewelry that proceeded Corocraft.